Director Werner Herzog is against the death penalty, supposedly feels sympathy for families of the victims, and asks bizarre questions when doing an interview. I have now summed up Into the Abyss, Herzog’s forgettable documentary that half-heartedly tries to be anti-death penalty propaganda and will change the minds of no one. Herzog constantly undermines his argument by glossing over the details of the murder case he’s exploring, and getting into odd tangents with whatever subject he finds most interesting at any given moment. 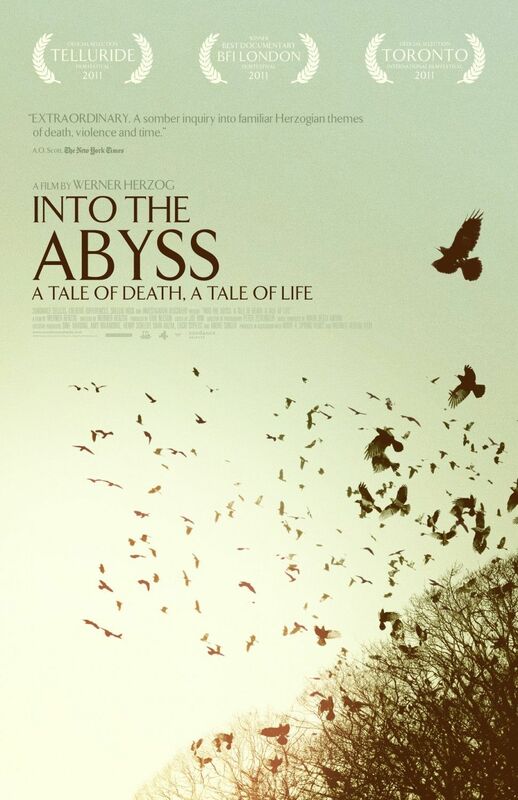 More than making a case against the death penalty or even acknowledging the complicated feelings of the accused, their families, and the families of the victims, Into the Abyss casts Herzog as a tragedy vampire, sucking the drama out of the lives of others while offering nothing in return. In 2000, teenagers Michael Perry and Jason Burkett murdered Sandra Stotler, her son, and her son’s friend simply so they could steal a car. Perry and Burkett were apprehended after a shootout with the police, Burkett was sentenced to life imprisonment after a desperate plea from his convict father, and Perry got the death penalty. 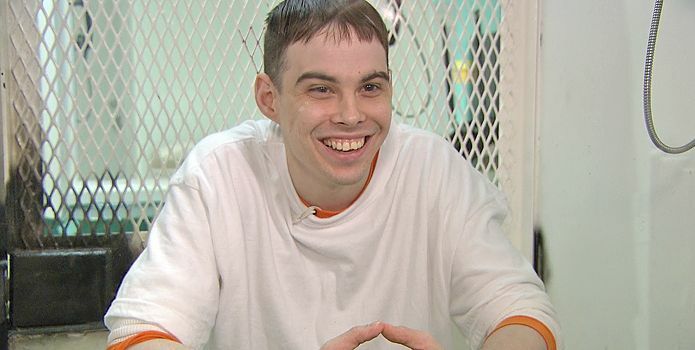 Herzog interviews Perry forty-eight days before he’s due to be executed by the state of Texas. 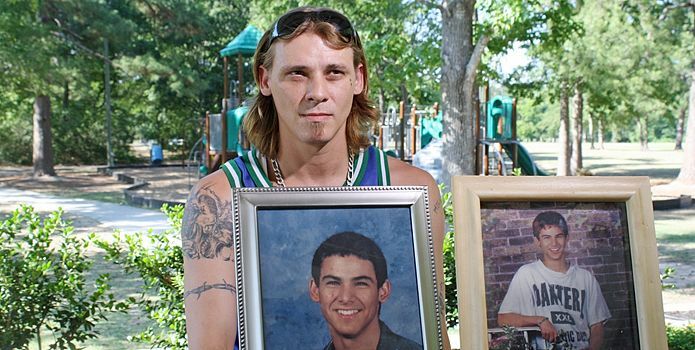 The German director also sits down with Burkett, Burkett’s wife and father, the families and acquaintances of the victims, and men who have tried to make death row inmates comfortable in their final hours. Despite weaving a tapestry of interview subjects, Herzog gleans little from his discussions. There are some worthwhile ideas floating around Into the Abyss. It begins with a powerful revelation that if death row prisoners have no family, the condemned will be buried in a state cemetery with a gravestone bearing a number and not their name. Additionally, all of the people Herzog interviews are not criminals on their own. People on both sides of the crime have had family in jail and even some of the relatives of the victims have done time. The director also believes that there’s some element of destiny and luck to why tragedy befalls people. A local man who knew Burkett and was almost killed by him has cheated death twice, once from being stabbed through the chest with a screwdriver and another time when Burkett shot a gun in his face but it misfired. At the opposite end of the spectrum is Stotler’s daughter Lisa who has lost not only her mother and brother but almost every single person in her family through tragic circumstances. When she rattles off the laundry list of dead family members, it’s almost darkly comic. Herzog has no problem introducing gallows humor into his tale but it’s never to let the audience have moment of levity or to provide emphasis on a grim point. It’s just Herzog being Herzog and he lets his idiosyncrasies take over. At times it feels like he’s trying to direct a narrative feature and he treats his interview subjects as if they were actors. There are also moments where Herzog seems to take joy in the oddities of his interview subjects. He practically humiliates Burkett’s wife by having her tell her laughably idiotic story about how she saw a rainbow as a sign from God that she should marry Jason. Not content to make her look corny and naïve, Herzog then presses her on details about how she got pregnant if she and Jason aren’t allowed to have conjugal visits. “You always hear about people smuggling contraband into prison but how do you smuggle contraband out of it?” Herzog condescendingly asks her. With this kind of attitude, it’s difficult to take Herzog seriously and he carries the same level of superficiality when examining the details of the murder. Even as Jason looks at life imprisonment and Michael is weeks away from execution, both men continue to blame the other for the crime. Herzog doesn’t delve deeper into their claims, although it would seem Michael, who is dead no matter what, has less reason to lie than Jason, who has the possibility of parole in 2041. We also hear more about Jason’s violent past where we know next to nothing about Michael’s history other than he had a lousy time at Outward Bound and he was homeless when Jason found him. We also learn that Michael confessed to the crimes and showed police the location of the bodies, but Herzog never asks Michael why he confessed in the first place and why he now pleads his innocence. If the particulars of the case are an afterthought to Herzog, then why does he even care? I think Herzog’s Grizzly Man was a terrific documentary and everything gelled into a compelling story about man’s hubris towards the ferocity of nature. I don’t know what Into the Abyss is about other than Herzog heard someone in Texas was about to be executed for a triple homicide, and haphazardly put together a documentary filled with eccentric characters, half-truths, lazy research, and pretending to appreciate life when his documentary is so flippant about how death has affected others.